Guide to Lincoln County, Wyoming ancestry, genealogy and family history, birth records, marriage records, death records, census records, family history, and military records. Lincoln County was created February 21, 1911. The county was named for Abraham Lincoln, sixteenth president of the United States. Lincoln County is the Southwest area of the state. Kemmerer (the county seat). County Clerk has marriage records from 1913 and land records. Clerk District Court has divorce and probate records from 1913 and court records. *State birth and death records began in 1909. Limited compliance until 1922. Interactive Formation Boundary Map of Wyoming - shows boundary changes for Wyoming Counties (1848-1965) may be viewed for free at the MapofUS.org website. Parent County: created 20 February 1913 from Uinta County. The following web sites have additional information on Lincoln county cemeteries. Interment.net Wyoming cemetery records by county. Before Wyoming was a state in 1890, Wyoming was included in the 1850 Utah Territory. In the 1860 Census, it was enumerated as Nebraska Territory. The first Wyoming Territorial Census was taken in 1869, right after Wyoming Territory was created, and is available on microfilm at the Wyoming State Archives and at the Family History Library in Salt Lake City (FHL film 2261365). The 1870 and 1880 Federal Censuses included Wyoming Territory. See links listed below. State censuses were taken for Wyoming but they were mostly statistical censuses with very little individual information. See Wyoming Census for more information. 1850 - United States Census, 1850 at FamilySearch Historical Records — index and images; North Dakota was included in the 1850 Utah Territory Census. Federal Censuses were taken for the state of Wyoming starting in 1890, although no records survived. The 1900 Census is the next Federal Census available. For links to Federal Census indexes, see Wyoming Census. Church records vary significantly depending on the denomination and the record keeper. They may contain information about members of the congregation, such as age, date of baptism, christening, or birth; marriage information and maiden names; and death date. 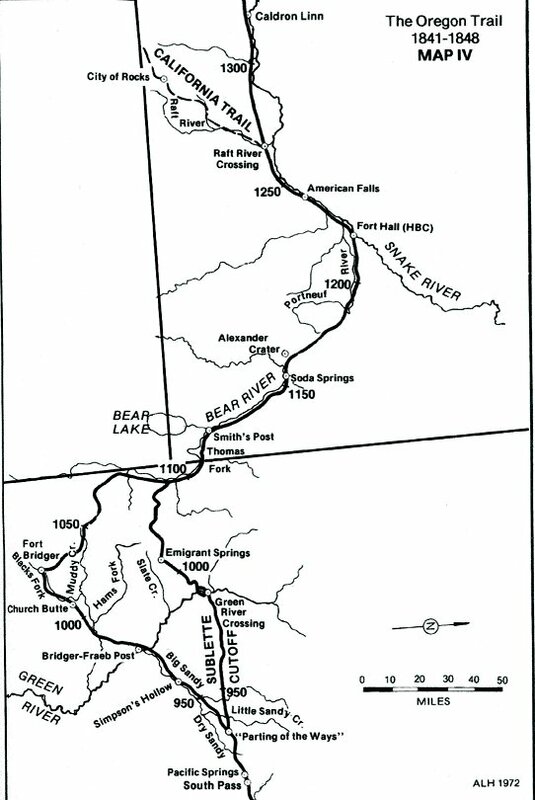 For general information about Wyoming denominations, view the Wyoming Church Records wiki page. These collections are unique to Wyoming. You will find nationwide databases for military records on U.S. Military Online Genealogy Records and Wyoming Military Records. No known military units were raised specifically from Wyoming as it did not become a state until 1890. However men from the territories that became Wyoming fought in other units during the Civil War. For further information see Wyoming Military Records. For more information, see Wyoming Newspapers. In most counties in Wyoming, probate records have been kept by the county judge. They include wills, fee books, claim registers, legacy records, inheritance records, probate ticklers, and dockets. The records are available at the county courthouse. The FamilySearch Catalog lists films of probate records. To find the records for this county, use the Place Search for Wyoming- Lincoln - Probate records. Wyoming tax records complement land records and can be used to supplement the years between censuses. There may be gaps of several years in the records. Vital Records consist of births, adoptions, marriages, divorces, and deaths recorded on registers, certificates, and documents. See the CDC Where to Write website for information on acquiring copies of these records. 1867 - 1941 Wyoming Marriages 1867-1941 at findmypast ($), index. 1877 - 1920 Wyoming, Marriages, 1877-1920 at MyHeritage ($) — index. ↑ The Handybook for Genealogists: United States of America,10th ed. (Draper, UT: Everton Publishers, 2002). ↑ Handybook for Genealogists: United States of America, 10th ed. (Draper, Utah: Everton Pub., 2002), Lincoln County, Wyoming. Page 766. At various libraries (WorldCat); FHL Book 973 D27e 2002; Alice Eichholz, ed. Ancestry’s Red Book: American State, County, and Town Sources, Third ed. (Provo, Utah: Ancestry, 2004), 768; Wyoming Department of Health, “Vital Statistics Services,” https://health.wyo.gov/admin/vitalstatistics/ accessed 28 June 2017. ↑ Alice Eichholz, ed. Ancestry’s Red Book: American State, County, and Town Sources, Rev. ed. (Provo, Utah: Ancestry, 1992), 837; Alice M. Hetzel, U.S. Vital Statistics System: Major Activities and Developments, 1950-95 (Hyattsville, Md. : U.S. Dept. of Health and Human Services, Centers for Disease Control and Prevention, National Center for Health Statistics, ), 58. ↑ Wikipedia contributors, "Lincoln County, Wyoming," in Wikipedia: the Free Encyclopedia, https://en.wikipedia.org/wiki/Lincoln_County,_Wyoming#Communities accessed 21 November 2016. ↑ On microfilm number: 2261365. ↑ ’'Handybook for Genealogists: United States of America, 10th ed. (Draper, Utah: Everton Pub., 2002), 761. At various libraries (WorldCat); FHL Book 973 D27e 2002; Alice Eichholz, ‘’Ancestry’s Red Book: American State, County and Town Sources,’’ 3rd ed. (Salt Lake City: Ancestry, 2004), 761. Free online version; FHL Book 973 D27rb 2004; WorldCat entry. ↑ Jim Tompkins, "The Oregon Trail 1841-1848 Map IV" in Oregon Trail Landmarks at http://www.oregonpioneers.com/OTMap4.jpg (accessed 18 July 2011). This page was last modified on 29 November 2018, at 20:43.